Exemptions that you can utilize during the bankruptcy proceeding to protect that property. The higher your disposable income, the more likely you won’t be allowed to use Chapter 7 bankruptcy. Instead, you are expected to use your disposable income to repay creditors. 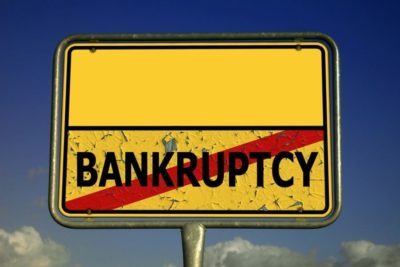 In most cases, you will be able to qualify for Chapter 7 bankruptcy because income alone is not the sole determining factor. You should contact our experienced bankruptcy attorneys to find out if you qualify. You can also find more information about qualifying for chapter 7 on our website. When filing for Chapter 7 bankruptcy, it is important to consider whether you live in a community property state or a common law property state. This will play a major role during the bankruptcy proceeding. Most states, including Connecticut and New York, utilize the common law property system. Under this system, property acquired by a married person during the marriage is the property of that person separately, unless the person agrees with his or her spouse to hold the property jointly. By contrast, 10 states are community property states — Arizona, California, Idaho, New Mexico, Louisiana, Washington, Nevada, Texas, Wisconsin, and Alaska. Generally speaking, under the community property system, property acquired by either spouse while married becomes community property. This means that regardless of whose name is on the title, the property is considered to be owned equally among the married couple. This also means that each spouse is equally financially responsible for that property. Property acquired before marriage, as well as property inherited or received as a gift during a marriage, is generally considered the separate property of the recipient spouse. When it comes to filing for bankruptcy, all of the community property will be included in the bankruptcy proceeding even if you file as an individual. In that scenario, a lot more property is going to be at risk during the proceeding than in other common law states. One way to protect your property during bankruptcy proceedings for both individual and joint filings is through exemptions. In many states, there are certain exemptions that the state will allow you to double up on if you file jointly with your spouse. This is one major factor to consider when you make the decision to file together or separately from your spouse. You may inquire from our bankruptcy lawyers regarding the specific exemption amounts of each item stated above. When it comes to community property, a creditor of one spouse may go after the other spouse to pay off the debt of the first spouse. The creditor may also go after the marital property since half of that property is technically for each spouse. However, the creditor may not go after the other spouse’s personal property such as any property obtained prior to the marriage, any inheritance of one spouse, or property that the couple has mutually agreed to keep separate. For example, if the wife fails to pay balances in credit card, the creditor may go after the husband’s income or assets to satisfy the debt. A pre or postnuptial agreement is one way to protect your spouse from creditors. Alternatively, before taking out any loans, the debtor spouse may enter into an agreement with the creditor in the form of a waiver signifying that the other spouse will not be liable for the debtor spouse’s debts. The creditor may or may not sign this type of agreement, but it is worth a try to prevent the creditor from going after the community assets. Finally, when considering whether to file individually or with your spouse, an important thing to note is how debts are actually wiped out after the bankruptcy. This is especially important to understand in Arizona as a community property state. If you file Chapter 7 bankruptcy without your spouse, then only that spouse’s debt will be discharged through the bankruptcy. What this means is that if you and your spouse are equally financially responsible for a debt, and you file for bankruptcy without your spouse, then you will be discharged from the debt but your spouse will NOT be. The non-filing spouse will remain financially responsible for their debt. This does not mean that the non-filing spouse will take over the entire debt, it will literally just be their portion of the debt, whether that is half or another uneven distribution. This can be good news for the household though. Even though the non-filing spouse remains financially obligated to pay for the property, the creditor of the filing spouse cannot go after that piece of property to satisfy the filing spouse’s debt. It is like an added layer of protection for certain property. Filing bankruptcy is a complicated process. It is recommended that married couples consult a bankruptcy lawyer on the next step to take. If you or your spouse are considering filing bankruptcy in Arizona, do not hesitate to contact our bankruptcy lawyers. We will be more than happy to answer whatever questions that you may have.